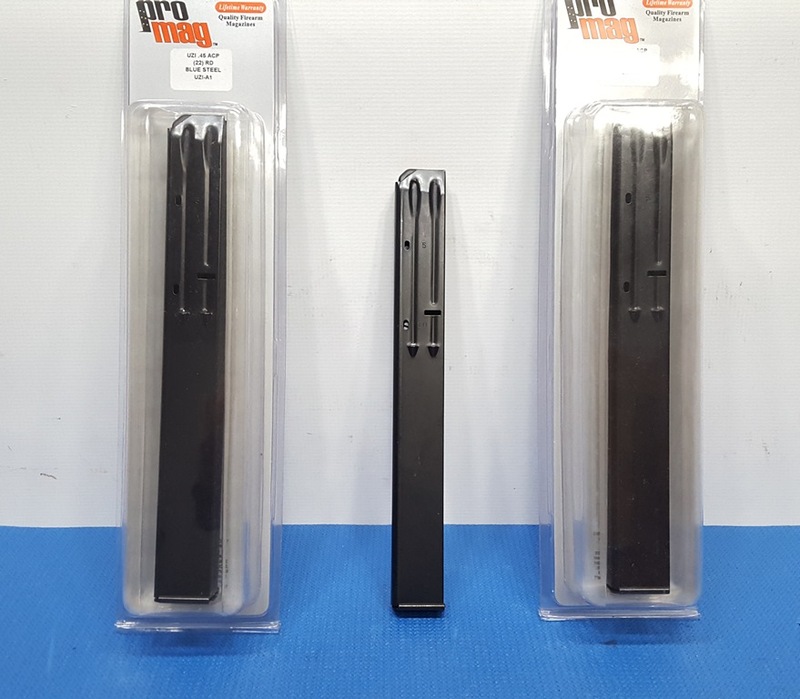 PROMAG 45ACP 22RD MAGS, NIB. These are the Newest production 22rd 45acp mags from Promag, They are the best 45 Uzi mag out there, they make a 10rd mag also if needed. These are the Newest production 22rd 45acp mags from Promag, They are the best 45 Uzi mag out there, they make a 10rd mag also. These run great in all the IMI guns I tested them on. This is a fantastic alternative to the expensive IMI 45acp mags on the market, call anytime to order.